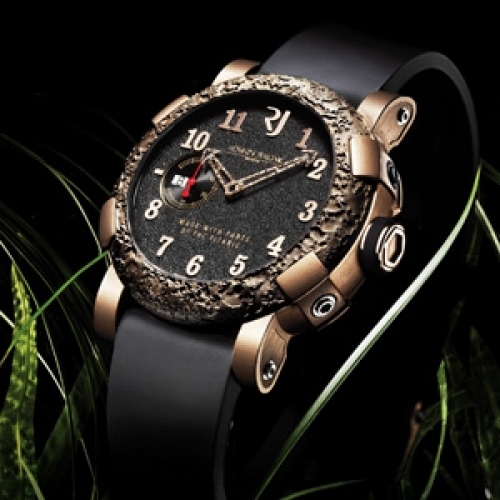 Now that the Rusted Steel T-Oxy II has become a collector’s item, its 2,012 pieces all sold and production of this limited series ended, Romain Jerome has decided to launch a new timepiece that is even more unconventional. The Titanic-DNA T-Oxy IV Ultimate Rust, with its stabilized rusted bezel, represents the last possible stage of oxidisation before the steel decomposes. Adepts of the T-Oxy concept will not fail to see this particular model as the most gripping interpretation of all. Edition limited to 500 watches.